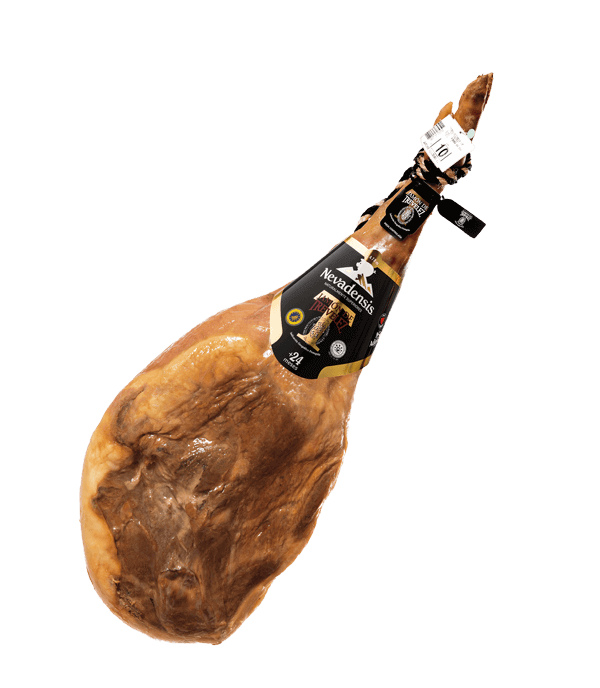 Buy this product today and earn 80 Jamontañeros. 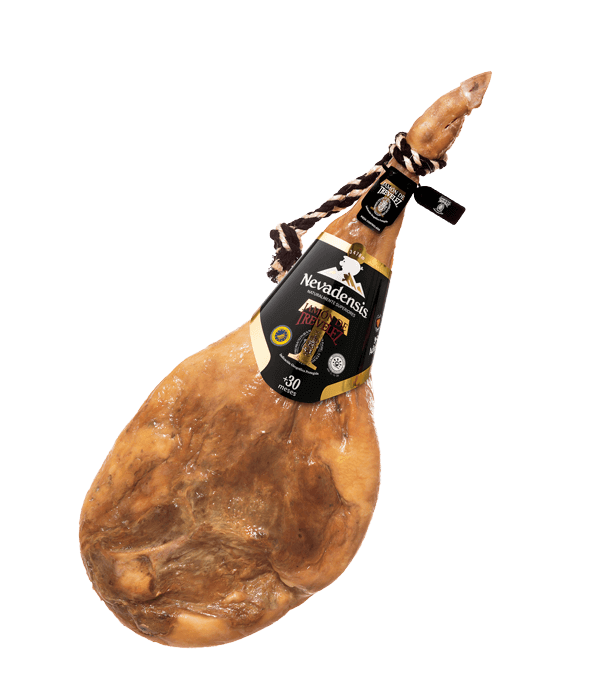 Our top-quality ham with Protected Geographical Indication (PGI) Trevélez, of our own famous brand "Nevadensis". 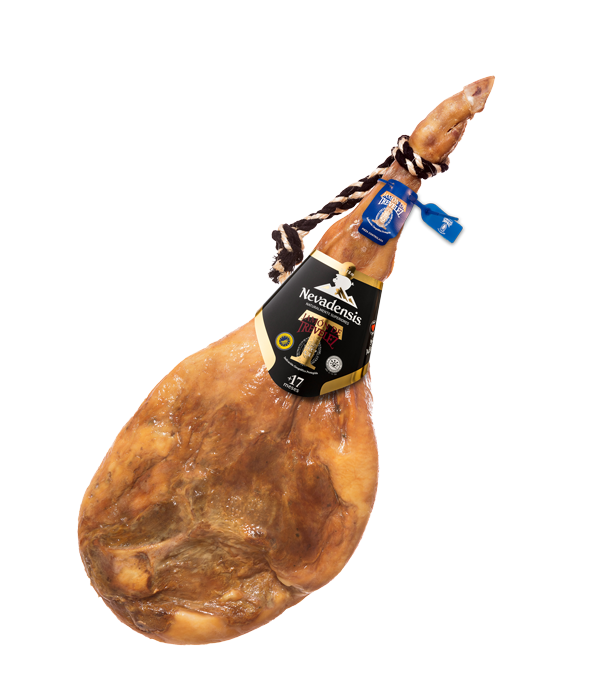 A ham with more than 17-months, 100% natural curing time with the help of the clean, cold air of the Sierra Nevada natural park, in the Alpujarra of Granada. Ham from a female pig of the Duroc paternal breed. Without artificial additives, preservatives, or colourants. The only other ingredient, apart from pork, is just the right amount of seasalt. An all-round ham recommended for everyday use, connoisseurs, and special occasions.